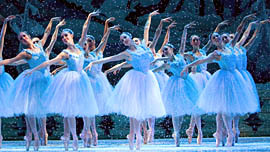 The Nutcracker is such a magical holiday performance. So, I'm taking my niece out to a wonderful dinner and then going to see the Nutcracker tonight. The Pacific Northwest Ballet puts on the most spectacular show. It really puts us in the holiday spirit! We can hardly wait!